Jesse John was born and raised on the twin island republic of Trinidad and Tobago. His parents immigrated to New York City in 2000 to give him an opportunity to attend college. He arrived in the heart of Bedford Stuyvesant, Brooklyn at the age of thirteen. He was completely focused on attaining the college education that his parents left their friends, family and careers behind for. Jesse earned his BS in Geology and BA in Earth Science Education in 2009; this allowed him to be a part of a close-knit family of students and professors who became lifelong colleagues and mentors. 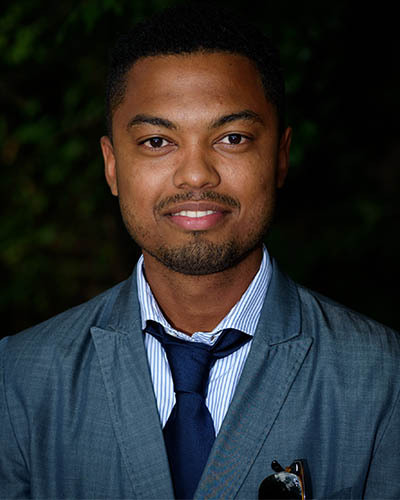 Jesse received his MA in Geology from CUNY Brooklyn College in 2012. His master’s thesis examined the strontium isotopic signatures in shark teeth to validate using fossil shark teeth to interpret climate change. He is currently involved in doctoral studies in the Geosciences department at Stony Brook. As a geochemist his research involves synthesizing novel nano materials. The target materials have interesting useful physical properties and applications including, but not limited to, magnetic semiconductors, environmental remediation and radioactive waste storage. His research team is comprised of materials scientist, chemist, and geoscientist that work together optimizing the reaction conditions to produce pure samples of new materials, solve the crystal structure and performed formative characterization to ascertain if the material had the right properties for the desired application. Over the course of his graduate career, Jesse was a National Science Foundation (NSF) GK-12 Graduate Teaching, NSF Bridge to the Doctorate Fellow, NSF AGEP – Transformation FRAME (Frontiers of Research and Academic Models of Excellence) fellow and a W. Burghardt Turner Fellow.